Playing the role of a riot cop dispersing a peaceful but illegal sit-in on the steps of France’s National Assembly, Axel struggled to dislodge a woman whose arms and legs were enmeshed in a Gordian knot of activists. It was like trying to pull a limpet off a rock — he couldn’t get a grip. For most of the 55 people attending a course in Paris on Saturday, the driving concern was climate change and the gathering pace at which Earth’s species are disappearing. 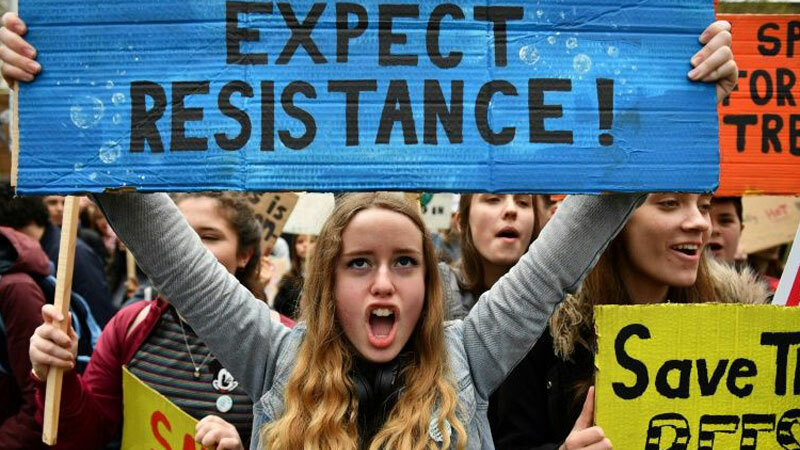 On Monday, a loosely knit but well-organised group called Extinction Rebellion, born in Britain, launched a week-long campaign in major cities worldwide, vowing to “bring London to a standstill” by blocking traffic at Waterloo Bridge, Parliament Square and other iconic locations. XR, as the group is known, looked to historic examples of civil disobedience — the US civil rights movement, the push for Indian independence — for inspiration. “I’ve been teaching several sessions a month for the last six or seven months,” said Remi Filliau, the instructor in Paris and founding member of a small NGO called Les Desobeissants (The Disobedient Ones). Reaching from behind, Axel placed an index finger under the young woman’s nose and pulled up sharply. Her arms instantly flew open and he yanked her free within seconds, dragging her across the floor into mock detention. “Police are allowed to use that technique,” Filliau told the class. “But they are not allowed to tickle — that is considered sexual harassment,” he added. Filliau presented a scenario: friends propose slipping into a farmer’s field at night while wearing masks to destroy a experimental crop of genetically modified corn. What they didn’t agree on was tactics. Two thirds of the group clustered in the two “non-violent” quadrants, but were evenly divided on whether to carry out the raid. This, it became clear, was the “correct” approach, and Filliau explained why. “We have to legitimise our actions in the eyes of the public,” he told the group. Successful campaigns in France over the last decade — pressuring a bank into divesting from fossil fuel projects, getting the state ban a particular GMO crop — were all done openly and non-violently, he said. “But if you’re not ready to be arrested by the police, then you probably shouldn’t come,” he added, referring to a climate change action planned for the end of the week.